Last year proved to be a strong year for J-Pop releases – and along with it came a continuation of the desire for some Japanese artists and record labels to expand into a global market. This interest has obviously been buoyed by the success of the likes of PERFUME and KYARY PAMYU PAMYU and other acts are clearly keen to see if they can replicate that success. Here’s a small sample of some of the releases that we’re looking forward to in 2015. Anything we’ve missed? zip over to the J-Pop Go Facebook page or Twitter and let us know! Rapidly rising in popularity through the strength of singles such as ‘Starlight Parade’ and ‘Hono to Mori no Carnival’, SEKAI NO OWARI blew the lid off Japanese pop-rock with 2013’s phenomenal ‘RPG’ (originally written for a Crayon Shin-chan film). Tree marks the 4-piece outfit’s second major album release and gathers ‘RPG’ along with a variety of other recent single releases, including ‘Snow Magic Fantasy’ and ‘Dragon Night’. A special limited edition release comes complete with a live DVD of the band in action at Saitama Super Arena last year. Tree is scheduled for release on Toy’s Factory on 14th January. 4-piece rock combo SCANDAL have chalked up an impressive resume since their formation back in 2006 via powerful tunes such as ‘Doll’, ‘Shojo S’ (as seen in anime series Bleach), ‘Harukaze’ and ‘SCANDAL BABY’. Now comes SCANDAL’s sixth studio album HELLO WORLD, which is also receiving a special UK and European release on both physical CD and via iTunes. HELLO WORLD will feature the singles ‘Departure’ and ‘Yoake no Ryuseigun’ as well as new single release ‘Image’, which is being used as the official song for the Nestlé Cup International Women’s Club Championship 2014 (the international association football competition organised by the Japan Football Association and the Nadeshiko League). The European/UK CD version of HELLO WORLD will also feature two bonus tracks not available on the Japanese release. All this paves the way for SCANDAL’s UK live debut in April. The album is currently available via UK iTunes to download, while the CD release arrives on 19th January 2015 via JPU Records. Perhaps the saddest news on the Idol Pop front was the announcement that BERRYZ KOUBOU would be bringing their group activity to an end in the spring of 2015. Although billed as simply a “hiatus” rather than an official disbandment, the motivation appears to be an opportunity for the individual members to pursue their own individual goals. A series of final farewell concerts is scheduled to begin in Japan in February with 3rd March designated as the final day. The date’s significant as their debut release ‘Anata Nashi de wa Ikite Yukenai’ was released on 3rd March 2004. Meanwhile, a special Best Of album release comes out later this month. Kanjuku Berryz Koubou The Final Completion Box. The regular edition of this release features a colossal 6 CD set featuring a collection of their A-Sides, two coupling collection CDs, a rare track collection, unreleased alternative versions and also a selection of covers of songs from other Hello!Project outfits. Kanjuku Berryz Koubou The Final Completion Box is released 21st January. Spectrum idol outfit MOMOIRO CLOVER Z impressed us with 2013’s 5TH DIMENSION, a collection of superb J-Pop honed in the distinctive Momoclo style. The girls have also been busy on Sailor Moon duties with the song ‘Moon Pride’, which served as the OP for Pretty Guardian Sailor Moon Crystal. While details of 5TH DIMENSION’s follow-up have yet to be unveiled, Momoclo will instead be closing out January with the release of a special collaborative single with US rockers KISS. A teaser video for ‘Yume No Ukiyo Ni Saitemina’ arrived at the start of January and suggested that Momoclo were aiming for that sweet Idol/Rock combo that’s done wonders for BABYMETAL. The colourful gang will also be performing with KISS at the Tokyo Dome on 3rd March. ‘Yume No Ukiyo Ni Saitemina’ will come in a Momoiro Clover Z edition, which features Momoclo singing the title track with backing from KISS as well as an additional Blu-Ray disc with the pv. Meanwhile a separate KISS edition will be CD only and includes a variation of ‘Yume No Ukiyo Ni Saitemina’ titled ‘Samurai Son’ with KISS on vocals and the Momoclo girls as support. ‘Yume No Ukiyo Ni Saitemina’ is released 28th January. We would have to admit being somewhat underwhelmed by Capsule’s 2013 release CAPS LOCK. It’s minimalist electronica approach (with a side order of musique concrète) was an intriguing experiment, but seemed to be a world away from Capsule’s trademark lounge beats and stylish electronic licks (an entirely deliberate move by Capsule frontman Yasutaka Nakata it has to be said). Fortunately, their 15th studio album WAVE RUNNER appears to be cast in the classic Capsule mold, especially if tunes such as ‘Depth’ are any indication. Penned specifically for the anime movie Appleseed Alpha, ‘Depth’ has been enhanced for the album version with vocals from Koshijima Toshiko to present a fractured and percussive slice of electropop. WAVE RUNNER boasts 10 tracks and (as with previous release CAPS LOCK) will be released on the unBORDE label (home to Kyary Pamyu Pamyu who, regular viewers will be aware, owes her songs to Yasutaka Nakata who adopts his producer/songwriter role for KPP). The album will also be released in a limited edition featuring a second CD with extended mixes. WAVE RUNNER will also be available to download via iTunes. WAVE RUNNER is due for release on 18th February 2015. 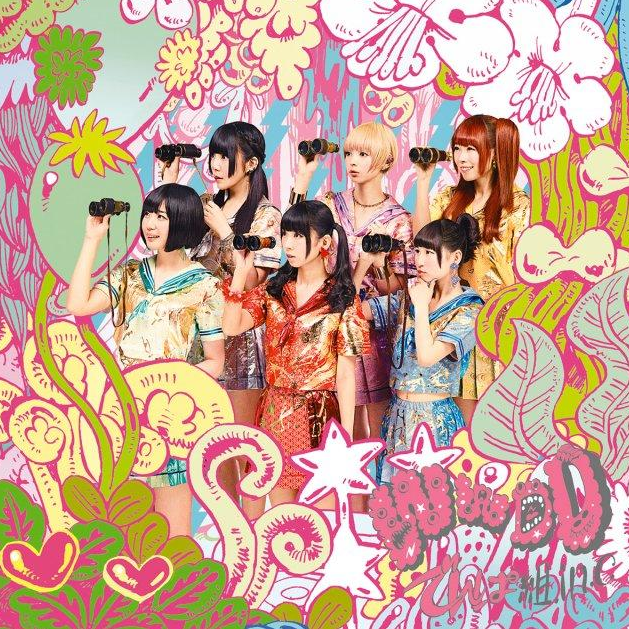 Tokyo-based DEMPAGUMI.INC have swiftly become one of the most well known idol acts in Japan at the moment. Specialising in the denpa style of J-Pop (read: insanely catchy) the outfit have been barreling along since 2008, but it was the rapid-fire pop of 2013’s ‘W.W.D.’ that really put their name on the map. Now the self-confessed otaku outfit are ready to release their new album WWDD this February. As well as all-new material, the album will gather together singles such as ‘Sakura Apparition’, ‘Chururi Chururira’ and ‘Dempari Night’. To keep things interesting, WWDD will also be released in a wide variety of flavours. As well as the standard Regular Edition, there’s also the Limited Edition, Analog Edition, Cassette and Fan Club Members Limited Box Edition. The Limited Edition and Fan Club release will include a bonus DVD with pvs for a selection of songs along with live footage. The Fan Club edition also ships with a bonus CD of solo songs by the gang. WWDD is released 18th February. It wouldn’t be a proper year without a release from the ever-popular KYARY PAMYU PAMYU and the scary-haired one has obliged with new single release ‘Mondai Girl’. ‘Mondai Girl’ will mark KYARY PAMYU PAMYU’s 13th single release following on from 2014’s ‘Kira Kira Killer’. The tune, which roughly translates as ‘Problem Girl’, was again penned by Capsule’s Yasutaka Nakata and was composed specifically for the Fuji TV drama Mondai no Aru Restaurant. The song is about inspiring women to let their true colours shine and not to worry about what other people might think. It also marks Kyary’s first time to sing a theme tune for a TV drama. The single release also features ‘My Room’ which was penned as the theme song for a CM for Chintai as well as ‘KISEKAE’ used to promote the Nintendo 3DS. A special Limited Edition version will also include footage taken from KPP’s recent arena tour. ‘Mondai Girl’ will be released on 18th March. These are the releases that we have concrete dates and details for, but we’re also ready to be surprised by what the rest of the J-Pop world has in store as the year progresses. This includes PERFUME who swung back with ‘Cling Cling’ last year, but we’re still waiting on confirmation for the follow-up album to 2013’s LEVEL 3 release. DIE MILCH surprised us with the Gothic Pop delights of the METRONOM album late in 2013 and Coco is already working hard on new material for the very near future. If there’s releases that you’re looking forward to seeing this year, drop over to our J-Pop Go Facebook page or Twitter and tell us all about it.